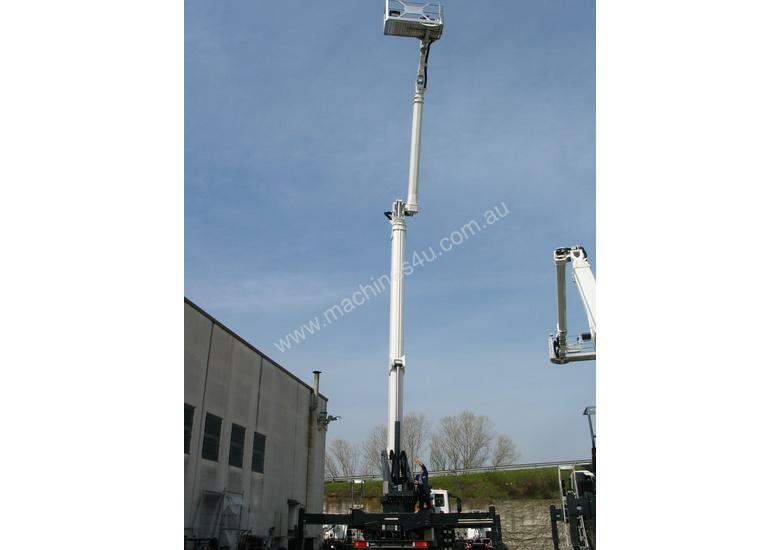 A family of high quality, heavy duty platforms offering highly versatile boom configurations of multi-stage telescopic with telescopic fly booms and additional cage fly. This combination facilitates class leading working envelopes from compact closed dimensions. High quality components are utilised throughout ensuring longevity and minimizing ownership costs. 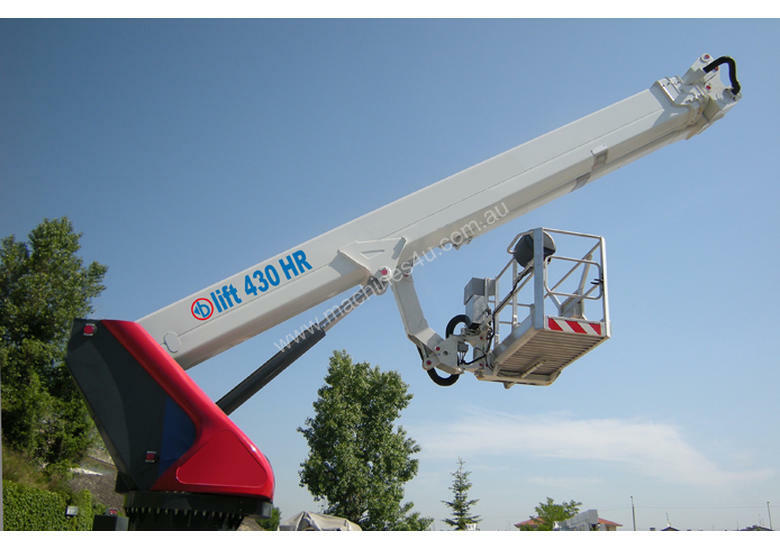 CTE aerial platform model B-Lift 430 HR, designed for working at heights, with a maximum working height of 42.5m. 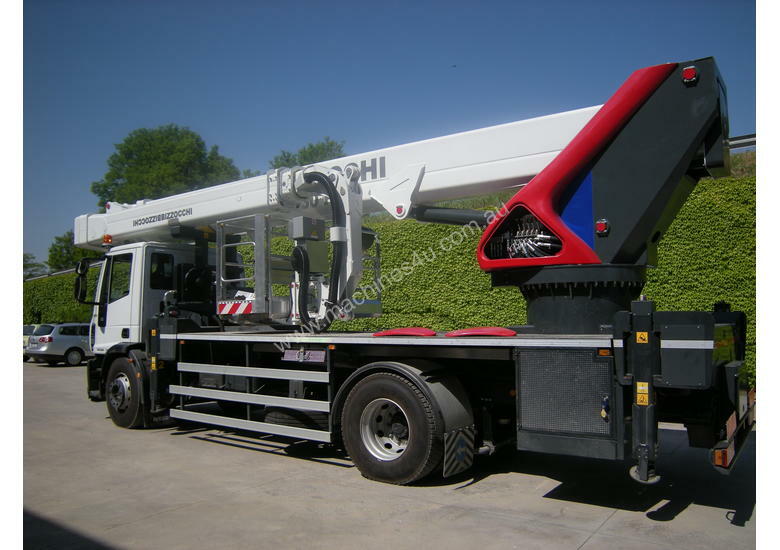 Mounted to a suitable chassis,the platform has compact dimensions for defined areas and offers the advantage of a single application and reduced overall dimensions. 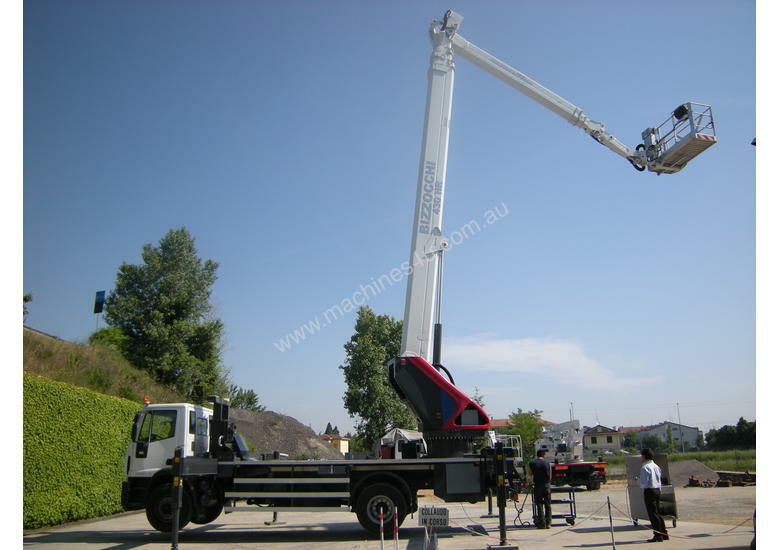 The machine is distinguished by a main multiple-section articulated telescopic arm on the rotating turret, a main jib hinged to the end of the arm and a second supplementary articulated jib for better work configuration over 360 degrees. The well equipped basket has a max capacity of 450kg and enough room for 5 people with relevant equipment (50kg). Proportional electro-hydraulic controls with speed ramps provide precise and fluid control from both control stations. 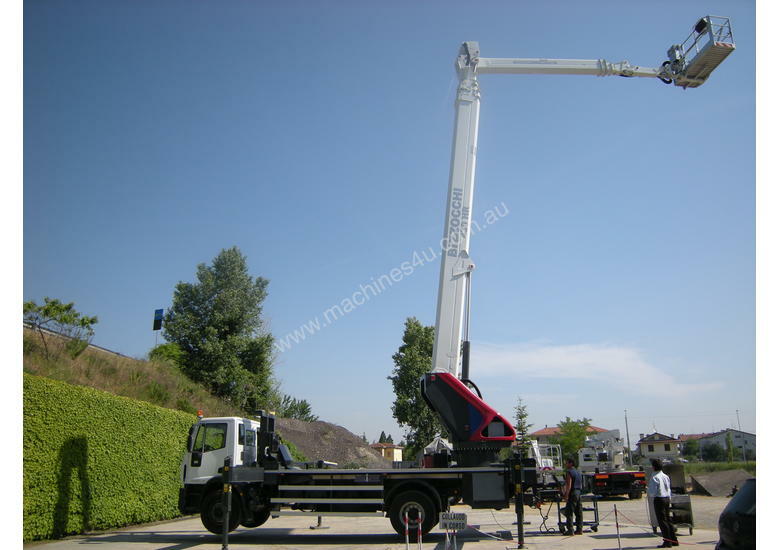 * Telescopic boom (main boom + 2 extensions). 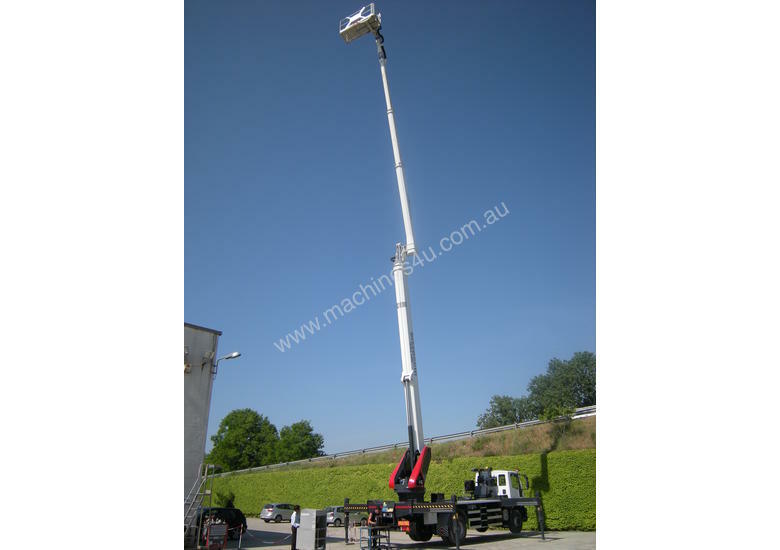 * Extra long main jib with double extension and 180 degree swivelling angle. * Secondary jib with 180 degree swivelling angle. * Hydraulics and electric supply fitted on carrier chain inside the main boom & jib. 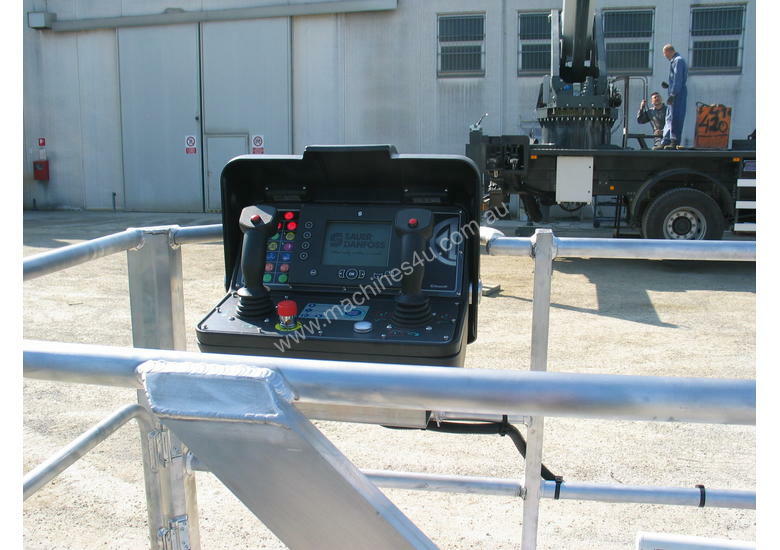 * Automatic management system of secondary jib movements. 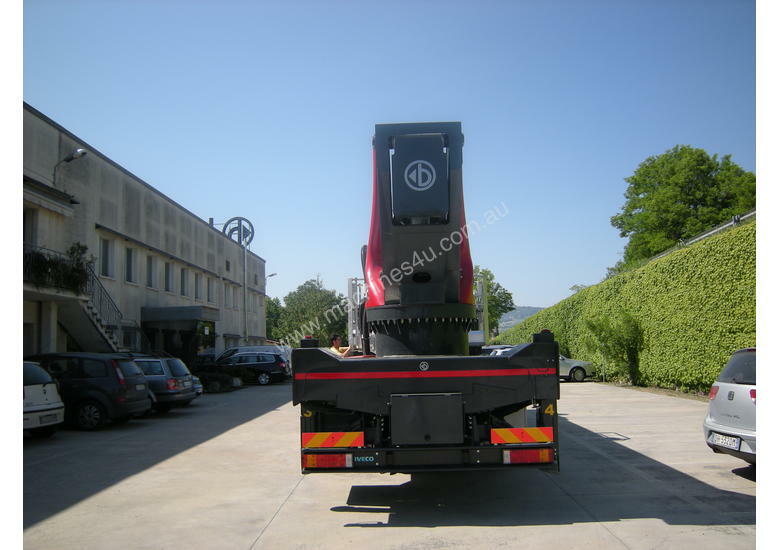 * 570 degree slewing turret on large ball bearing and gearmotor with negative hydraulic brake. * Ground remote control station with cable. * Turret and basket control stations with multifunction intergrated colour displays. * Proportional electro-hydraulic controls with simultaneous manoeuvres. 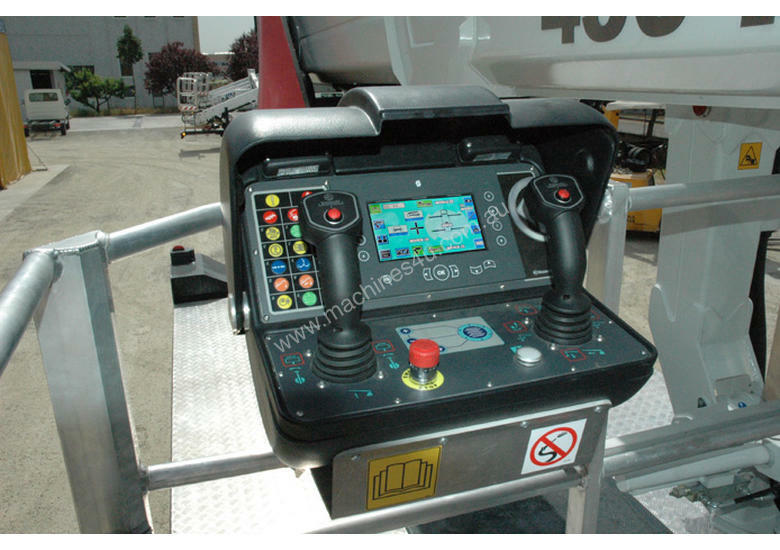 * Truck cab anti-collision safety device. * Automatic basket and boom centring device. * Automatic steady tangential speed management system. * Automatic return to transport position. * Intercom communication device intergrated on control station. * Engine stop/start from the basket and ground control station. * Hydraulically extendable aluminium basket. * Hydraulically rotating basket 90 degrees right + 90 degrees left. * Basket load sensing device. 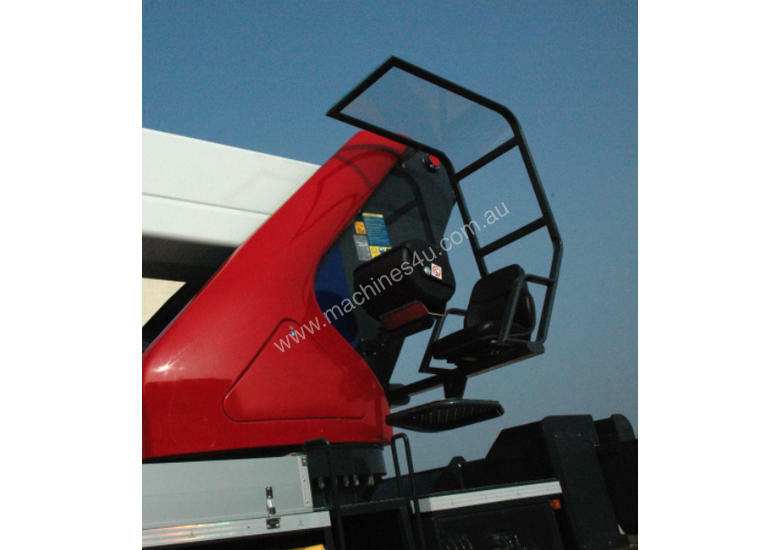 * Automatic working range delimination (180 degrees) with outriggers extended only on one side. * Working range with outriggers not extended (narrow jacking). 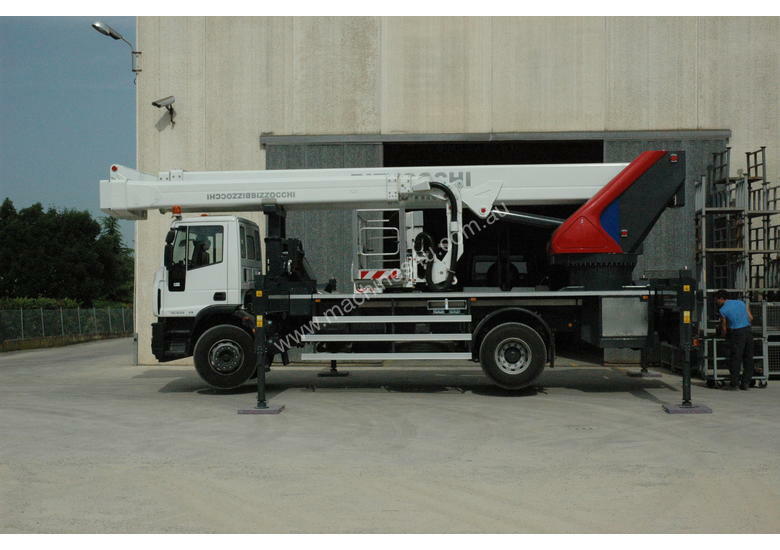 * Auxiliary stand-by electro-hydraulic power pack, supplied by truck battery. * 240v electric socket in the basket. * Water or compressed air socket in the basket. 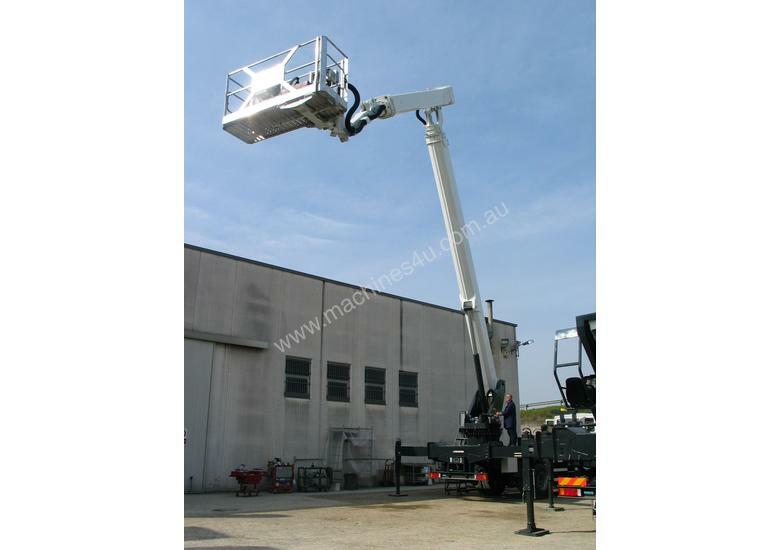 Platform Sales are one of Australia's leading suppliers of powered access equipment. We can supply a diverse range of over 250 different models from the world's best manufacturers. We are the Australian importer of the CTE Group. 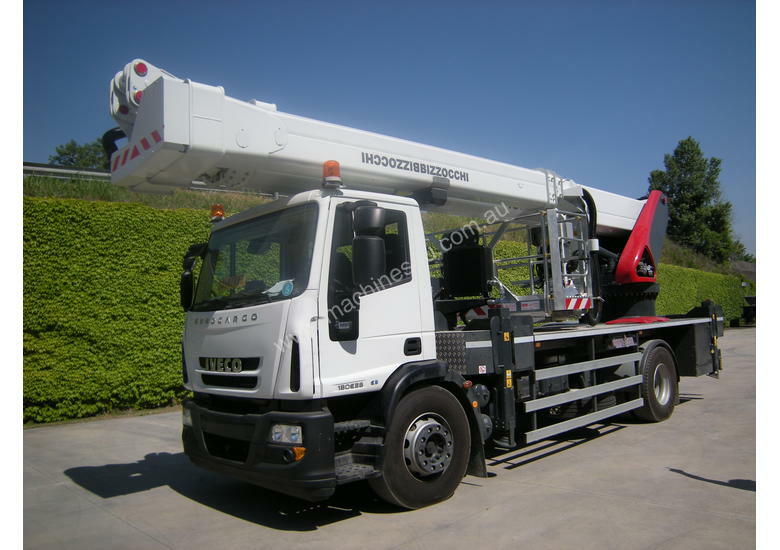 With brands like Traccess (Track or spider mounted platforms), Bizzocchi (Telescopic and Hi-Range truck mounted platforms) and ZED (articulated truck mounted platforms) CTE is one of Europes largest groups in the field of lifting platforms.